Throughout much of the referendum debate, it has been assumed that, in order to continue participating in the Single Market, we would have to accept freedom of movement. Any number of high-ranking Commission officials have warned us that this is "non-negotiable". Now, at last, we are beginning to have the debate we should have had before the referendum, we have the know-all BBC creeping out of the woodwork, together with others, to remind us of this, as more and more Johnny-come-latelys leap on the EEA bandwagon, including the revered Chatham House. However, we should have known that the Commission officials (and the European politicians who joined them), were not telling the truth about freedom of movement – or at least the whole truth in respect of the EEA. Almost too late, we discovered something hidden in plain sight: the fact that the EU has been quite willing to negotiate with one of the three Efta/EEA states on freedom of movement. Furthermore, they have come to an amicable solution, which has allowed it to secure an amendment to the treaty giving it a permanent opt-out to freedom of movement. The state concerned now operates a quota system little different in principle to the Australian points system. That the state is the principality of Liechtenstein need not worry us. It may be a tiny micro-state with a population of 37,000 spread over an area of 61 square miles – less than half the area of the Isle of Wight – but it is a fully-fledged Contracting Party to the EEA Agreement. It has assumed exactly the same rights and responsibilities as any other Efta state. I've already told the story in parts, but for the record, I am now bringing it together under one head in this blogpost. That way, the media and politicians can ignore it properly, instead of pretending they haven't seen it. I've also written up a version in Flexcit, so that they can ignore it there as well, leaving its 90,000-plus readers better informed than those who seek to instruct us. The story starts – and a fascinating one it is – before Liechtenstein joined the EEA on 1 May 1995. We can actually take 10 March 1995 as the beginning, when the EEA Council - part of the formal consultation structure set up under the agreement – looked at the situation dominating Liechtenstein's entry. 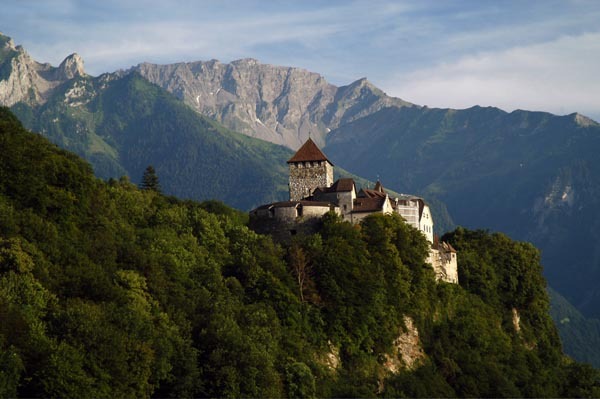 The Council recognised that Liechtenstein had "a very small inhabitable area of rural character with an unusually high percentage of non-national residents and employees". And it decided that this microstate could easily be swamped by immigrants if unrestricted free movement of workers was permitted. Like the UK, but at the opposite end of the scale, the country was not able to absorb unlimited numbers. Moreover, the Council acknowledged "the vital interest of Liechtenstein to maintain its own national identity". It thus concluded that the situation "might justify the taking of safeguard measures by Liechtenstein as provided for in Article 112 of the EEA Agreement". Article 112 is part of the "safeguard measures" – popularly known as the "emergency brake". Where serious economic, societal or environmental difficulties of a sectorial (sic) or regional nature arise, which are liable to persist, it allows Efta states (but not EU Member States) unilaterally to take appropriate measures to resolve them. EU Member States have to rely on the Commission to take action. Back in 1995, with a massive immigration problem looming, the EEA Council asked all members to "endeavour to find a solution which allowed Liechtenstein to avoid having recourse to safeguard measures". However, no long-term solution was found so a temporary expedient was arranged: transitional arrangements which allowed the country to impose "quantitative limitations" on immigration until 1 January 1998. These were incorporated into Protocol 15, appended to the Agreement. The next move was towards the end of 1997, just before the end of the transitional period. There had been no long-term solution found so Liechtenstein unilaterally invoked the Article 112 safeguard measures. By this means, it kept the existing immigration restrictions in place when the transitional period ended. There were further attempts to resolve the situation in 1998, which were unsuccessful. Then, on 17 December 1999 after a further review, the EEA Joint Committee (another of the formal EEA bodies that mysteriously have "no influence") decided that the "specific geographical situation of Liechtenstein" still justified "the maintenance of certain conditions on the right of taking up residence in that country". This unstable situation, however, could not be allowed to last. In order to resolve it, the Joint Committee came up with a proposal for a longer-term solution. Liechtenstein was to be allowed to introduce a quota system controlling the number of workers allowed to enter the country. This was given formal status by an amendment to Annex VIII of the EEA Agreement, setting out what were called "sectoral adaptations", cross-referred to Annex V on the free movement of workers. As a formal amendment to the EEA Agreement, the decision provided for a new transitional period until 31 December 2006, and allowed for the new measures to apply subject to a review "every five years, for the first time before May 2009". After reviews in 2009 and in 2015, it was concluded that there was no need to make any change to the current rules. The provisions on the "sectoral adaptations" could remain unchanged. Under the current arrangement, Liechtenstein issues 56 residence permits for economically active and 16 permits to economically non-active persons each year. Half of the totally available permits are decided by lottery, held twice a year. The numbers involved are, of course, small beer, but Liechtenstein is a tiny country. What matters is that a precedent has been set. Within the framework of the EEA Agreement, an Efta state has suspended freedom of movement and replaced it with a quota system for what amounts to an indefinite period. This is where the situation currently stands. Thus, whatever the EU might declare in terms of freedom of movement being "non-negotiable" for EU Member States, it is undeniable that it is negotiable within the framework of the EEA Agreement, as it applies to Efta states. Therefore, if the UK chooses to follow the Efta/EEA option as an interim solution to expedite the Article 50 settlement, once the agreement is adopted it can follow the procedural steps pioneered by Liechtenstein. And by this means, it can impose limits on immigration from EEA states. In terms of applying a quota system, it should be noted that, in the Australian-style points system, only 23 percent of the migrants admitted come under the points system. The overall limit is set by way of an arbitrary quota, set annually – currently at 190,000. This is, by any measure, a quota system. To that extent, the UK can have some of its cake and eat it. The "Liechtenstein solution" potentially gives our negotiators far more flexibility than at first imagined. We accept the EEA acquis as it stands, but negotiate "sectoral adaptations" that bring the Agreement into line with UK needs. This should help us reach an amicable settlement with the EU, while keeping us in the Single Market.